Achieving Excellence & Equity, Learning & Leadership, Public Confidence and Well-Being are priorities in the 2015-2020 Strategic Plan, supported through Growing with Character. Every day at Hastings and Prince Edward District School Board, our highly skilled, dedicated and caring teachers provide dynamic inclusive educational experiences for students and focus on student achievement and well-being. Nationally, the Canadian Teachers’ Federation promotes World Teachers’ Day through a public awareness campaign that highlights the contributions of the teaching profession. The theme this year is Valuing teachers, improving their status. Please join in recognizing World Teachers’ Day on Wednesday, October 5. Applications for students to apply to the Minister’s Student Advisory Council (MSAC) are being accepted to February 9, 2017. Students in grades 7 to 12 can apply. The MSAC is a group of approximately 60 students from publicly-funded schools across the province. They share their ideas and advice with the Minister of Education. December 20, 2016—We are pleased to share an update about Trent River Public School, a magnificent building that has taken shape over the past year. The school is looking great inside and out! Trent River Public School is a modern learning facility with large windows for natural light and bright, colourful classrooms. They include spaces where students can learn and play together. Construction is in the final stages with the electrical and grounds work still to be completed. We expect to receive an occupancy permit in the coming days which will allow us to plan for moving in and for staff to prepare the building to welcome students. Trent River Public School will consolidate students from Breadner Elementary School and College Street Public School. Students will continue to attend either Breadner or College Street for the month of January 2017 while the new school is being prepared. A further update about when Trent River Public School will be open to students will be shared after the holiday break. Open houses and school closing ceremonies will happen at both Breadner and College Street in January. Memorabilia will be on display to celebrate the school histories through the decades. Details of these events will be provided during the first week of January. Opening a new school is an exciting time for students, families, school board employees and the community. We are committed to ensuring that the transition to our new school is positive and that it is ready to welcome students. Trent River Public School is going to be an outstanding learning facility for students and a wonderful addition to Trenton. Planning for this project began in the spring of 2014 following an accommodation review for some Trenton schools. In August 2015 Board members approved a $10.3 million contract for Garritano Bros. Ltd. to build the new school, including making modifications to the existing site for parking, bus loading and storm water drainage systems. It will be a rectangle-shaped 1 ½ storey building of 55,500 square feet for 560 students. The centre corridor (from front to back) will have a learning commons (library), a 2-sided stage and a large gymnasium. Standing in the front foyer, you will be able to see straight through to the back gym wall. Each month, school newsletters include a one-page insert called Home-School Connections. It describes ways in which families can enhance student learning at home in the areas of literacy; numeracy; healthy, caring schools and improving student learning. Numeracy: Math Challenge: Squares Upon Squares. Explore new and interesting ideas in mathematics on youcubed. Healthy, Caring Schools: Help Bring Back Winter Play by getting outside for at least 60 minutes of active fun each day. Improved Student Learning: Self-regulation is the ability to manage your own energy states, emotions, behaviours and attention, in ways that are socially acceptable and help achieve positive goals. December 8, 2016—Advertisements about the accommodation reviews are in local newspapers this week. Nomination are open for the 2016-2017 Premier’s Awards for Accepting Schools. These awards recognize and celebrate the innovative work that Ontario’s Safe and Accepting Schools Teams do in promoting a positive school environment, and supporting student achievement and well-being. Anyone in a school community can nominate a Safe and Accepting Schools Team using the new nomination form, which is easier to complete this year. The deadline for nominations is February 17, 2017. Promoting student well-being is one of the goals of Ontario’s education system. This goal emphasizes the need to focus on both academic success and the whole child—their cognitive, emotional, social, and physical development. This includes ongoing work by school communities across Ontario who put in place prevention and intervention strategies to help create safe, inclusive and accepting schools. More information about the Safe and Accepting Schools: Premier’s Awards for Accepting Schools (link to the Ministry of Education website, including Quick Facts, as well as links to Additional Resources). December 7, 2016—A new chair and vice-chair have been elected for Hastings and Prince Edward District School Board. At its annual meeting on December 5, 2016, the Board of Trustees elected Lucille Kyle as Chair of the Board and Dave Patterson as Vice-chair of the Board. “Thank you for putting your trust in me, I feel truly honoured that you have elected me to this leadership role. The work is complex. Together we have made decisions about policies, budgets, facility renewals and, most recently, accommodation reviews. Together we will continue to move forward. I am confident that we will continue to work together, with our students, our communities, our front line staff and our senior team. Relationship is key and I value all stakeholders,” stated Kyle. Kyle was first elected as trustee in the fall of 2010 then re-elected in the October 2014 municipal election. She was elected as vice-chair of the Board in December 2014 and then re-elected to that same role in December 2015. 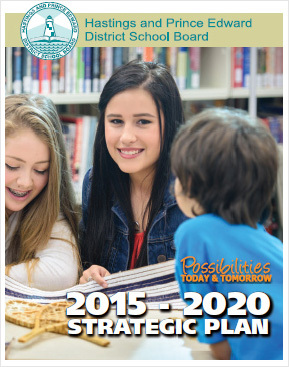 “The Learning & Leading priority in the Strategic Plan is about closing gaps for students. It is the work we do and actions we take as a corporate board to create the environment where the learning can be realized. That is done through governance and it is through governance that we create public confidence,” stated Patterson. Patterson was first elected as trustee in the fall of 2010 then re-elected in the October 2014 municipal election. He was elected as vice-chair of the Board in December 2012 and re-elected to that same role in December 2013. Kyle and Patterson begin their duties immediately and will serve through to December 2017. Hastings and Prince Edward District School Board serves approximately 15,000 students each day at 38 elementary and 8 secondary schools. Supporting student achievement and well-being is the goal of approximately 1,800 teaching and support staff who, in addition to the contributions of caring volunteers and community partners, share their passion for learning and leading. North Hastings High School is hosting the fourth Think Indigenous event on Thursday, December 8, 2016. Think Indigenous participants will engage in interactive dances and drumming, as well as workshops, and food tasting of contemporary and traditional Indigenous dishes. The emphasis will be on building relationships, working towards tolerance, understanding and healing. Some of the presenters will include the Smoke Trail Dancers, Tribal Vision, Six String Nation, Raven Murphy, Dr. Nicole Bell, the Metis Nation of Ontario and many more! Think Indigenous was first conceptualized by Dr. Nicole Bell at Trent University as a part of the Teacher Education Program. Since then it has evolved into a celebration of Canada’s Indigenous people expressed through cross-curricular educational activities. Literacy and Numeracy: Art Develops Numeracy and Literacy Skills. Art fosters a child’s imagination. It can encourage problem solving and critical thinking. Healthy, Caring Schools: There will be free parking in the downtown areas of Quinte West, Belleville and Prince Edward County for December – Donations will be accepted for the FEED THE METER CAMPAIGN and donated to local Food for Learning programs. Posted November 23, 2016—At Hastings and Prince Edward District School Board (HPEDSB), we are committed to achieving excellence, equity and well-being. 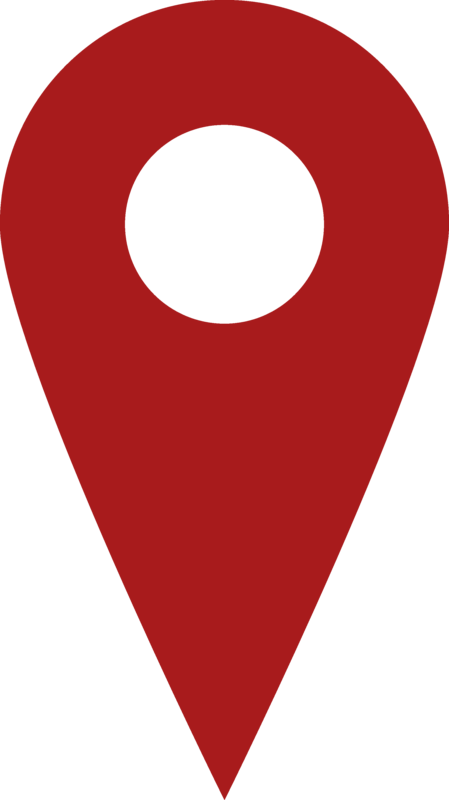 On Monday, November 21, 2016, the Board of Trustees approved accommodation reviews to begin in three regions of HPEDSB: City of Belleville, Centre Hastings and Prince Edward County. An accommodation review happens through the school board, with public input, to determine the future of a school or group of schools. Accommodation reviews follow a very specific schedule over about seven months. Accommodation reviews have been approved for the Belleville and Madoc areas and a number of schools in Prince Edward County. School board officials will be working with principals to organize accommodation review committees (ARCs) in each area. The ARC acts as an official conduit for information shared between the school board and the school communities. A series of public input and ARC working meetings will take place between January and spring 2017. The Board of Trustees will vote on final accommodation review recommendations in June 2017. While we recognize the challenges ahead, this is an exciting time at Hastings and Prince Edward District School Board. We are looking forward to engaging with students, families and communities as we continue to focus on student achievement and well-being. Questions about the accommodation review process can be directed to the Director’s Office at directors.office@hpedsb.on.ca 613.966.1170, extension 2201. The first-ever Twitter Chat at Hastings and Prince Edward District School Board is just a few days away! The conversation will be general enough that anyone can participate, even if they haven’t read the book. See below for Twitter Chat Tips. Track #hpedsbchat to follow and engage in the discussion. A Twitter Chat is when a group of people all tweet about the same topic using a specific tag (#) called a hashtag. The hashtag allows the conversation to be followed on Twitter. The chats are at a specific time and often repeat weekly or bi-weekly, or are only at announced times. There are many educational chats, and they are a great way to connect with educators around the world. Alternatively, you can simply click on the hashtag on a tweet to see all the recent tweets around that hashtag. Searching for the hashtag or clicking on the hashtag makes it easier to follow the conversation of all participants. Be aware that if you try to follow the chat from your own timeline you won’t “hear” all the contributing voices. The #hpedsbchat will follow a structured chat format with Question 1 showing as Q1 and to which you would add “A1” to your response so others following know which question you are answering. Thank you to moderators Tracy Demianchuk (tdemianchuk@hpedsb.on.ca) and Wendy Goodman (wgoodman@hpedsb.on.ca). Feel free to reach out to them with any questions. Students and their parents/guardians are invited to an information session to learn more about the International Baccalaureate (IB) Programme. This programme is hosted at Moira Secondary School. Hear from Moira SS students and staff about their experiences in the IB Programme. Find out how to apply and submission dates. The International Baccalaureate (IB) Programme provides students with an exceptional academic experience, as well as unique enrichment opportunities. While developing life-lone learning skills and global citizenship, this internationally-recognized programme enhances opportunities for university preparation, post-secondary scholarships and advancement into second year university. Moira SS teachers are IB-trained and deliver a world-class curriculum that emphasizes critical thinking, research based exploration, and independent learning opportunities. The Grade 9 and 10 IB Foundations Programme offers enhanced courses that stimulate curiosity and inquiry to foster a spirit of discovery and enjoyment of learning. Staff strive to provide excellent instruction within the classroom and through experiential learning with class trips. The virtual library website at Bayside Secondary School recently surpassed a milestone with 100,000 visitors accessing the site. Launched in October 2014, the website has proven to be a valuable communication tool used to share information about library events, library news and provides access to countless learning resources. (Britannica, EBSCO, Teen Health and Wellness to name a few), review style guide documentation and search the online catalogue of books. The website is an online portal that allows multiple students access to resources simultaneously. The Learning Commons is a vibrant multi-purpose learning area at Bayside Secondary School and the virtual library website is a wonderful complement to this physical space. Bayside Secondary School is very proud of the virtual library website and encourages all to visit the site to learn more. The third week of November is recognized as Bullying Awareness and Prevention Week in Ontario. This year it is November 21 – 25, 2016. It is a time for students, employees, parents/guardians and community to learn more about bullying and its effect on student achievement and well-being. The Well-Being priority in the 2015-2020 Strategic Plan includes the goal to create welcoming, inclusive, safe and accepting learning environments that optimize students’ potential. Our award-winning Say One Nice Thing campaign, being launched this week, is a simple way to show kindness and care to others through welcoming behaviours, such as smiling, saying ‘hi’ and asking how things are going outside school/work. 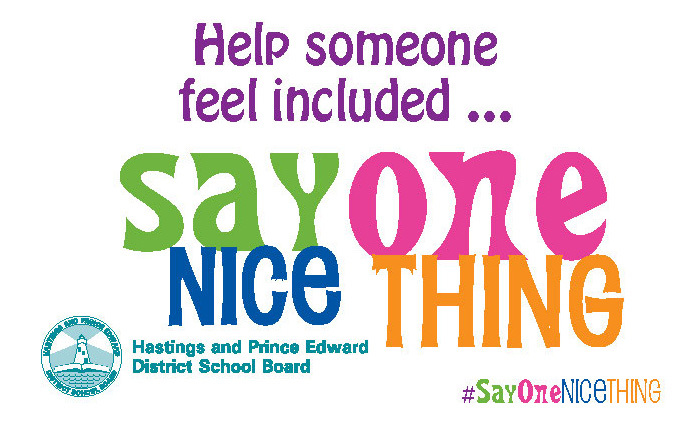 Say One Nice Thing is a way for positive comments or stories to be shared at schools, the Education Centre and through families and communities. Follow the account @SayOneNiceThing and the hashtag #SayOneNiceThing or #BeAnAlly on Twitter. Please join us across Hastings and Prince Edward District School Board in creating welcoming, inclusive, safe and accepting learning environments. Say One Nice Thing during Bullying Prevention and Awareness Week and every day! For the first time, the Province of Ontario has designated the first full week of November as Treaties Recognition Week. It is a time to promote public awareness and education about treaties and treaty relationships. Treaties Recognition Week is one of many steps on Ontario’s journey of healing and reconciliation with Indigenous peoples. It reflects Ontario’s commitment to work with Indigenous partners, creating a better future for everyone in the province. At HPEDSB, schools are integrating First Nations, Métis and Inuit cultures, histories and perspectives into teaching and learning in order to increase knowledge and awareness among all students and employees. As well, priorities and goals in the 2015-2016 Strategic Plan contain actions to help each student achieve success, feel included and have a voice. Please join in recognizing Treaties Recognition Week! Centennial Secondary School is hosting a Crossroads Craft and Artisan Show in November. There will be over 80 vendors offering unique crafts and Christmas gifts. TIME: 9:00 a.m. – 3:00 p.m. – Lunch and snacks will be available in the cafe. ADDMISSION: $2.00 – All proceeds will support Centennial students travelling to the 100th Anniversary of Vimy Ridge. Several of the vendors are teachers and students from HPEDSB. All are welcome to attend and support local crafters and artisans. Centennial Secondary School is holding an information session that will highlight the Visual and Performing Arts program and explain the application and audition process. Centennial is proud of its talented Arts students. All are invited to learn about this program and welcome future Centennial Chargers. 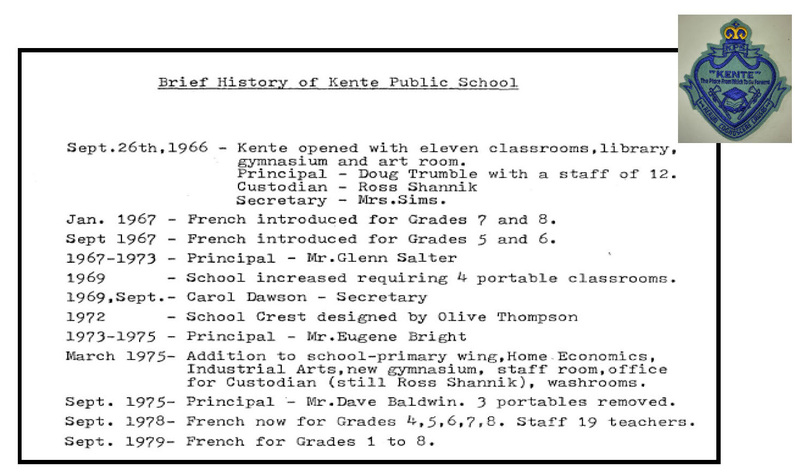 Kente Public School will be celebrating its 50th anniversary in November 2016. All are invited to this community celebration. Donations to support The Hastings and Prince Edward Learning Foundation are welcomed. Take a walk down memory lane, view memorabilia, enjoy some refreshments and a visit. If you are interested in taking home one of the award plaques, please sign the sheet upon arrival. Shop at the 5th Annual Craft Sale, where 20+ vendors will have their beautiful items for sale. Literacy: Treaties Recognition Week – November 6-12. Promoting education and awareness about Treaties and Treaty relations. Numeracy: The Mathies site provides math concepts and deepens understanding with virtual games and activities. Healthy, Caring Schools: Concussion awareness and prevention. Improved Student Learning: Powerful questions to ask your students. Learn more on the Edutopia website. October 27, 2016—A two-day gathering of individuals who lead Indigenous Education in school boards across the province is taking place on November 1 and 2, 2016. Organizer Troy Maracle, Curriculum Coordinator, says it is about sharing and celebrating. “The idea of the gathering came after I realized that as Board leads, we seldom got to meet. This event builds our knowledge through collaborating and sharing best practices and accomplishments,” said Maracle. Dr. Niigaanwewidam James Sinclair who will speaking about What Does Reconciliation Look Like? Participants will include approximately 160 Indigenous Education leads from 71 Ontario school boards, including 12 French school boards. Trustees, directors of education, superintendents and various partners Indigenous advisory groups from across the province will also be there. Facilitated break-out sessions will focus on various Indigenous Education topics. The Indigenous Education leads in each school board play a critical role in building capacity for effective instructional and leadership practices to enhance student literacy and numeracy skills. They provide supports to reduce gaps in engagement and achievement by promoting the integration of Indigenous cultures, histories and perspectives throughout the curriculum, and engaging families and communities in the education of their children. Indigenous Education leads have developed extensive knowledge, while creating deep relationships within the Indigenous communities. They have created an abundance of informed implementation strategies that have positively affected the success of all students. They have also helped to enhance a deeper appreciation of contemporary and traditional cultures, issues and hopes of Indigenous students and communities. This is the fourth time Hastings and Prince Edward District School Board has hosted this event. October 27, 2016—EQAO has put out a Q&A document about the technical issues with the literacy test. It will be updated as questions are submitted. October 24, 2016—EQAO has confirmed that the cause of the technical issues that resulted in the cancellation of the October 20 province-wide trial of the online Ontario Secondary School Literacy Test (OSSLT) was an intentional, malicious and sustained Distributed Denial of Service (DDoS) attack—a type of cyberattack. The October 20 online OSSLT was a voluntary trial to test the system’s readiness before the regularly scheduled administration of the OSSLT in March 2017. Discussions about the feasibility of scoring completed online OSSLT assessments are ongoing and an announcement on this will be made shortly. EQAO will deliver the March 2017 OSSLT, which students will be able to take either online or on paper. An independent third-party forensic firm is involved in an investigation into the October 20 incident on behalf of EQAO. Data indicates that the DDoS attack began shortly before 8:00 a.m. EDT. At the height of the DDoS attack, 99% of the traffic in the system was not coming from schools or school boards. This effectively blocked legitimate user access to the system. No personal or private student information was compromised during the administration of the assessment. Read the full release on the EQAO website. October 21, 2016—Please refer to a letter (Pdf) of explanation and apology from the Education Quality and Accountability Office (EQAO) about the technical difficulties with the literacy test. October 20, 2016—Today secondary school students throughout Ontario were to write the Ontario Secondary School Literacy Test (OSSLT). This assessment was to be written online. Technical issues through the Education Quality and Accountability Office (EQAO) were experienced by many Ontario school boards. EQAO cancelled the assessment prior to noon today. The OSSLT is written by Grade 10 students typically in the spring. For 2016-2017, two opportunities were possible, the first being in October and the second scheduled for spring, as usual. Successful completion of the OSSLT is a graduation requirement. EQAO cancelled the assessment prior to noon. School boards were directed to instruct students to discontinue taking the assessment. We’re very proud of our students who demonstrated great character and perseverance in a very challenging situation. We’ll share more information with schools, families and students when it is available from EQAO. Thank you for your understanding. October 25, 2016—School boards are expected to have capital plans that address the future needs of their students. The Long-Term Capital and Accommodation Plan (LTCAP) (Pdf) is in place. An outline of the next steps is described in Bulletin #7: The plan is in place, now what? (Pdf). Wednesday, October 26, 2016, is recognized as Child Care Worker & Early Childhood Educator Appreciation Day in Ontario. It is a time to celebrate the skills and commitment of employees who engage with our young learners. The third Friday of October is designated as Canadian Library Support Staff Day. This year it is recognized on Friday, October 21. Please join in recognizing Canadian Library Support Staff Day on October 21, 2016. October 17 to 21 is recognized as School Bus Safety Week in Ontario. It is an opportunity for everyone who rides a school bus, or knows someone who rides a school bus, to highlight the importance of school bus safety. In Ontario, more than 800,000 students are transported by bus each school day. Locally, professionals at our busing partner, Tri-Board Student Transportation Services Inc. work with 32 caring and responsible bus operators and drivers. Each day 10,100 HPEDSB students are transported 23,557 kilometres on 266 bus routes. Achieving Excellence & Equity, Learning & Leadership, Public Confidence and Well-Being are priorities in the 2015-2020 Strategic Plan, supported through Growing with Character. Each day, educational assistants interact with students who have a wide range of abilities. Educational assistants demonstrate skill, caring, compassion and patience to ensure equity and to help prepare and empower all students for the possibilities of today and tomorrow. They play a significant role in supporting student achievement and well-being. Educational assistants are dedicated professionals who work in diverse roles and settings. On the third Wednesday of October, Hastings and Prince Edward District School Board is proud to recognize Educational Assistant Day. This year it falls on Wednesday, October 19, 2016. This Wednesday, please join in recognizing the dedicated educational assistants at HPEDSB. October is water month at participating elementary schools! Hastings County and Prince Edward County join 44 other communities across Ontario taking part in the Healthy Kids Community Challenge. The Healthy Kids Community Challenge is partnering with local elementary schools to promote water consumption in schools. Local schools have demonstrated their commitment to promoting a healthy, supportive environment for their students by taking the Healthy Kids School Pledge! As a part of this Pledge, over 7,500 students at participating schools in Hastings County and Prince Edward County will take part in Water Month. Water Month will be dedicated to promoting water as the beverage of choice among students to stay healthy and hydrated! The goal of this initiative is to increase student awareness about the importance of drinking water. More information can be found in the HPEDSB Home-School Connections newsletter (Pdf). All elementary schools throughout Hastings County and Prince Edward County will receive a variety of items to support Water Month implementation and participating schools will host a water month launch party assembly, featuring an educational video, a presentation by a school champion and a flavoured water tasting booth. September 26, 2016—Educators from local school boards and across the province will be heading to Belleville’s Centennial Secondary School in October to attend the EdTechTeam Summit featuring Google for Education. This two-day high-intensity event focuses on deploying, integrating, and using Google Apps for Education (and other Google tools) to promote student learning in K-12 and higher education. Literacy: Not only is it fun to read a good story over and over again, children are able to focus on comprehension, accuracy and expression. Numeracy: Homework Help – math help for Grades 7, 8, 9 and 10. *Live Tutoring available. Improved Student Learning: Responsibility, Organization, Independent Work, Collaboration, Initiative and Self Regulation. October is Child Abuse Prevention Month in Ontario. It is a time for communities to use their voices to break the silence and speak up for children and youth to keep them safe. This year HSCA is promoting Dress Purple Day on Wednesday, October 19 to help raise awareness about speaking up and breaking the silence that often surrounds child abuse. Please join in recognizing this important topic throughout October and by wearing purple on October 19, 2016. The Facility Condition Index (FCI) is a source of data about the state of school repairs. The Ministry of Education gathers this information in five-year cycles, the last of which took place from 2011 to 2015. The data is routinely used by the Ministry of Education and school boards for planning capital projects and school repairs. FCI information is included in the HPEDSB draft Long-Term Capital and Accommodation Plan (linked below). However, the FCI in that plan is based on 10-year projections rather than 5-year. HPEDSB is presently revising the data in the draft Long-Term Capital and Accommodation Plan to align with the new 5-year provincial data. June 15, 2016—The date for review and input to the draft Long-Term Capital and Accommodation Plan has been extended to September 30, 2016. The plan is a compilation of data for all schools in Hastings and Prince Edward District School Board and serves as a road map for the next several years. It contains no specific recommendations regarding school closure or consolidations. All are invited to review the draft plan and provide written feedback until Friday, September 30, 2016 to directors.office@hpedsb.on.ca. Listen to a radio interview with Mandy Savery-Whiteway, Director of Education, on 99.3 County FM. Future reference about the plan and bulletins can be viewed online. Sunday, October 2, 2016 is recognized as National Custodial Workers’ Day. It is a day to celebrate custodians and the many ways custodians support our schools, contributing to student achievement and well-being. Custodians, as important members of our school communities, help to create caring and welcoming environments, and they connect with community members and families on a regular basis. Each day, custodians ensure that our schools and offices are safe. They create clean learning and working environments. We rely on our custodians every day, truly appreciating their commitment and hard work. We are fortunate to have such dedicated and caring professionals as part of the HPEDSB team! Please join in celebrating National Custodial Workers’ Day on Sunday, October 2, 2016! On Thursday, September 29, 2016, all in our school communities are invited to participate in Orange Shirt Day: Every Child Matters. It is to honour people who attended residential schools. Participating indicates our collective spirit of reconciliation and hope for future generations. Orange Shirt Day: Every Child Matters, is an outcome of the St. Joseph Mission Residential School commemoration event that took place in Williams Lake, B.C. Residential schools survivor Phyllis Webstad shared how, at the age of six, her new orange shirt was taken away the day she arrived at the Mission school. From that moment on, the color orange came to represent pain, loss and trauma for Webstad. She was haunted by the color throughout her life. The date was chosen because it is the time of year when children were taken from their homes to residential schools. Orange Shirt Day is a national movement that has gained momentum in light of the Truth and Reconciliation Commission final report. It is an opportunity to create meaningful discussion about the effects of residential schools and the legacy they have left behind. In addition, Orange Shirt Day is an opportunity for First Nations, local governments, schools and communities to come together in the spirit of reconciliation and hope for generations of children to come. Nationally the date is September 30 each. We are recognizing it one day early due to the PA Day on Friday, September 30, 2016. Accidents can happen so easily, especially with children and youth. Each year, thousands of families have to pay medical and dental bills when their children are injured at school, at sporting events, on field trips or even at home. The most minor of accidents can result in major financial responsibilities which exceed or are not covered by OHIP or employer group insurance plans. Student Accident Insurance is a way to protect your family from these unexpected expenses. Hastings and Prince Edward District School Board has made available information for an Injury and Accidental Death Insurance Program for students. Participation is voluntary and costs are paid by parents or guardians. The insurance agreement is between you and Old Republic Insurance Company of Canada. Pennies a day can provide a simple, easy way to possibly help with some medical and dental expenses. September 13, 2016—Hastings and Prince Edward District School Board is pleased to announce Laina Andrews as the new Superintendent of Education – School Climate & Well-Being Services. She is taking the place of Mark Fisher who accepted a role with the Durham District School Board in August. “Laina is a dynamic educational leader with experience at the school and district levels. Her passion for excellence, equity and well-being was evident during the hiring process. All Board members gave their full support to Laina joining the senior leadership team and are looking forward to her becoming part of HPEDSB,” said Dwayne Inch, Chair of the Board. Andrews has been recognized for her depth of experience in designing, implementing and monitoring successful teaching and learning environments. She is known for her ability to create cohesive, collaborative teams who champion and achieve school and organizational goals. In addition, Andrews takes an inclusive approach to student well-being and engagement. She is a proven leader with experience in accommodation reviews, developing parent-school-system communications, leveraging student achievement through technology, mentoring colleagues. “Laina’s experiences make her well-suited for this senior leadership role at HPEDSB. We’re looking forward to her contributions to our vision of all students prepared and empowered for the possibilities of today and tomorrow,” said Mandy Savery-Whiteway, Director of Education. Andrews obtained her Bachelor of Arts (Honours) at Mount Saint Vincent University, Bachelor of Education at Dalhousie University, Masters of Education at the University of Toronto, and her Principal and Supervisory Officer qualifications through the Ontario Principals’ Council. Andrews comes to HPEDSB from the Kawartha Pine Ridge District School Board where she is a secondary school principal. Andrews will transition into her new role over the next two weeks and officially joins HPEDSB on October 3, 2016. Andrews lives in Northumberland County with her two children who are engaged in post-secondary endeavours. Dave McKay from the Grapevine radio show on 99.3, County FM, who is also a former teacher at Prince Edward Collegiate Institute, interviewed Darren McFarlane, current Principal about the 2016 school year. Darren expresses great pride and excitement about the possibilities and opportunities that Prince Edward Collegiate Institute offers students to achieve positive learning experiences. Listen to a radio interview with Darren McFarlane, Principal at Prince Edward Collegiate Institute, on 99.3, County FM. Numeracy: Positive Messages to Encourage Students in Math. For more positive messages and research about math and growth mindset go to Youcubed. Nick Pfeiffer was appointed Superintendent of Business effective August 1, 2016. July 6, 2016—Hastings and Prince Edward District School Board is pleased to announce Nick Pfeiffer as the new Superintendent of Business Services. Pfeiffer, presently the school board Controller of Facility Services, assumes the role on Monday, August 1, 2016. “Nick brings experience in business, management and facilities planning, and has worked closely with the Board and the senior team to become a trusted resource over the past five years. All Board members support him as a business superintendent who is able to effectively utilize people and resources to efficiently achieve our vision of All students prepared and empowered for the possibilities of today and tomorrow,” said Dwayne Inch, Chair of the Board. Pfeiffer is a business executive with over 25 years of public and private sector experience. He obtained his Bachelor of Applied Science in Engineering at the University of British Columbia and his Masters and Ph.D. in Engineering Science at Simon Fraser University. He is a professional engineer and, before joining HPEDSB in 2011, led business development at several clean technology companies. 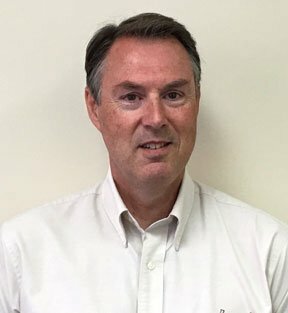 During his career, Pfeiffer has held responsibilities for finance and accounting, business development, administration, engineering, strategic planning, governance and leadership. He is a former member of the Board of Directors of Quinte Health Care and is the current Chair of the Professional Standards Committee of Professional Engineers Ontario. At HPEDSB, Pfeiffer has been recognized for leadership initiatives in building high-performing teams and instituting data-driven, evidence-based approaches to problem-solving and planning in support of strategic goals. Pfeiffer replaces Leslie Miller who returned to the private sector earlier this year. Dave Rutherford, former Superintendent of Business, has been fulfilling the role in the interim. Pfeiffer is married with two children and lives in Stirling. A tuna fish that can’t carry a tune? A star fish that can’t get an acting job? A seven-legged octopus? A zebra fish with spots? A tiger shark who wants to be friends with everyone? Join in the aquatic fun as little Tiger Shark and his unique collection of friends discover how their differences make them each special. Over 50 JK-Grade 6 students from Queen Victoria School in Belleville will be presenting the musical ‘Go Fish’ during Education Week . Public show times are Wednesday, May 4 and Thursday, May 5, 2016, at 6:00 p.m.
Tickets are available by contacting Queen Victoria school, $5 for adults, $3 for students. Proceeds will benefit the Queen Victoria school Arts programs. The tall metal structure represents to the second storey of the new school. It will be a 1.5 storey building. This is a view from the side, showing the front entrance area to the right. April 13, 2016—The community is invited to vote on a name for the new Trenton elementary school. The Trent River is very close to the new school and is a significant part of the community. The larger Trent-Severn Waterway is 386 kilometres long, beginning at Lake Ontario in Trenton and ending as it flows into Georgian Bay. Quinte West is the gateway to this very important waterway. The term Voyageur is French for traveler. It has Canadian significance because the Trent-Severn Waterway was built to support the lumber and fur trade. Canoeists (aka Voyageurs) transported lumber and fur between Lake Ontario and Lake Huron through various water conditions, including rapids. The word ‘rapids’ represents flowing water, movement, motion and change, all of which connect to education, growth and learning. The school colours have been decided as grey/silver and blue. They honour the significant presence of the Canadian Armed Forces in Trenton and connect to the water. An Integration Committee consisting of students, school staff, parents and community members has been meeting to work through the naming process. Construction of the new Trenton elementary school is progressing well. It is scheduled to open in January 2017. Choices for the new school name and mascot can be emailed to Principal Bill Launderville at wlaunderville@hpedsb.on.ca by Friday, April 22, 2016. April 6, 2016—What is it like being a student senator, student trustee and having a voice as a student? Those questions were asked of Grade 11 Student Trustee Lauren Barry, Centre Hastings Secondary School. April 4, 2016—At Hastings and Prince Edward District School Board, well-being and public confidence are priorities for us. Knowing what people think and how they feel about their/their child’s school can help it to be a better place to learn. We believe it is important for people to have a voice about schools being welcoming, inclusive, safe and accepting learning environments for everyone. Starting April 4, 2016, a survey will be open for students in Grades 4-12, parents/guardians and school staff. By doing the survey, people can let us know what we are doing well and where we can make improvements. The survey will be live from April 4 to May 6, 2016. Links to the survey are posted on the home page of each school. Participation is voluntary and responses are anonymous. It takes approximately 20 to 30 minutes to complete. Paper copies are also available by contacting the school office. All responses will be compiled then used by schools and the school board to help plan for school improvement. Results will be shared with school communities and also with community organizations that work with HPEDSB to support student achievement and well-being. 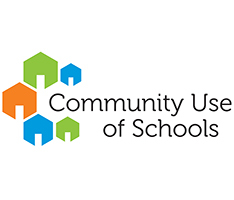 This survey is part of a province-wide initiative by the Ministry of Education for school boards to get feedback from students, parents/guardians and school staff every two years in order to provide input on the school climate. The survey will also be shared through Twitter at @HPEschools. Please plan to take a few minutes do the survey to share your opinion on these important topics. March 30, 2016—Do you know someone who contributes to the achievement and well-being of students at Hastings and Prince Edward District School Board? Consider nominating them for a Great Place Award. The deadline for nominations is Friday, April 22, 2016 at 4:30 p.m. Complete details and nomination forms are available online. Awards will be presented at the public Board meeting on Tuesday, May 24 2016, at 7:00 p.m., at the Education Centre, 156 Ann Street, Belleville. Award winners and nominators will be notified in advance. April 6, 2016—Science and Geography students at North Hastings High School are busy examining climate change—and preparing to talk with Ontario Premier Kathleen Wynne in mid-May. These North Hastings students are part of 25 classes in five Ontario regions participating in this exciting, student-led initiative. Each class begins by examining climate change in their community. Then they meet in a day-long video-conference to share their findings, begin to identify key issues and the actions required by individuals, communities, businesses and the province to address these issues. Student writers, two from each community, meet for a weekend to write up the students’ action plan. All classes will then present this to the Premier in a virtual town hall and will have the opportunity to talk with her. They will represent the informed voice of over 300 Ontario students! Students are encouraged to critically examine the climate change issue from all sides and speak with people in their community who have knowledge and information. Students at North Hastings HS are examining the impacts of climate change on recreational activities in the area, like snowmobiling, ice fishing, camping, and hunting. They are concerned about shrinking seasons, dangerous weather conditions, and changing ecosystems. The class wants to tell the premier that the community will need support to adapt to climate change and the loss of revenue that is generated by these activities. Furthermore, communities like Bancroft should be rewarded for their green practices which reduce greenhouse gases. Leaf Worsley is the teacher of one of the classes participating in this project. If you have any information that might help her students, please contact her at North Hastings High School, 613.332.1220. North Hastings High School serves approximately 450 students in Grades 9 – 12. The school offers a wide range of courses that meet the needs of learners in all pathways. Student success is the prime at NHHS. Programs aim to develop skills for collaborating creativity, critical thinking, communication, character and citizenship. The Hastings and Prince Edward District School Board and the Hastings Prince Edward Occasional Teachers’ Local (HAPE-OTL) are pleased to announce that the parties have reached a tentative settlement on local bargaining issues. “Congratulations to the teams. This agreement shows their commitment to work together to come to fair terms for both parties. Occasional teachers serve students each day and are valued employees at Hastings and Prince Edward District School Board,” said Dwayne Inch, Chair of the Board. “The HAPE-OTL and HPEDSB Collective Bargaining teams have worked hard on the new collective agreement for occasional teachers. Our occasional teachers should be happy with this new agreement and we look forward to continuing the important work they do each day in our schools,” said Doug Thur, President, Hastings and Prince Edward Occasional Teachers’ Local. HAPE-OTL represents approximately 200 occasional teachers. The term of the agreement is from September 1, 2014 to August 31, 2017. Ratification votes by both parties will take place in the coming weeks. No other details will be released at this time. Students in the Environmental Club at Prince Edward Collegiate Institute are holding an electronics waste fundraiser. This event offers a safe way for community members to dispose of electronics and is offered through a partnership with Ontario Electronic Stewardship. Community members are invited to drop off unwanted, outdated or broken electronics waste, old tires and scrap metal for free. List of acceptable items (pdf). All proceeds will be donated to the Loyalist Humane Society.